Interactive installation. 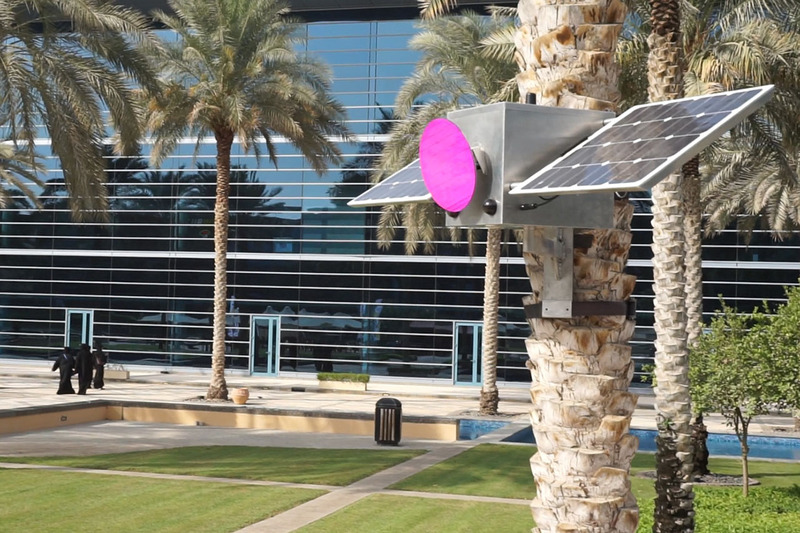 Computer controlled colour mirror, motion sensor, solar panels. 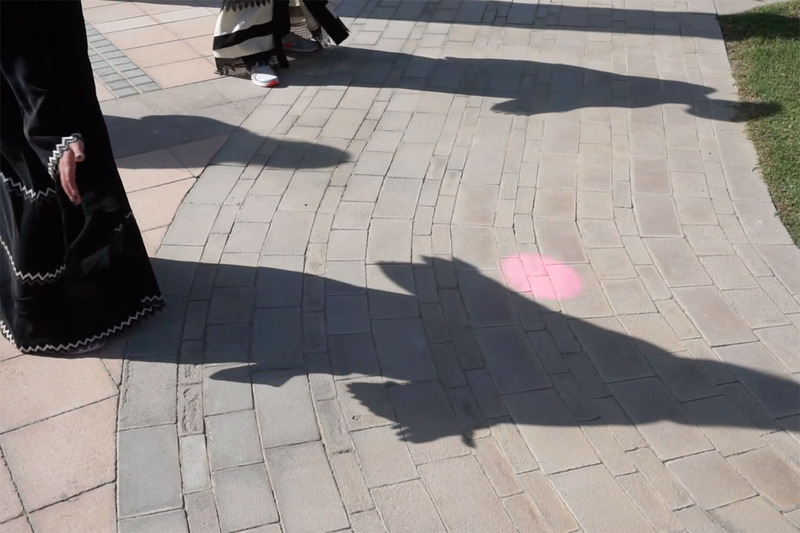 Solar Pink Pong is a hybrid of a street and video game. 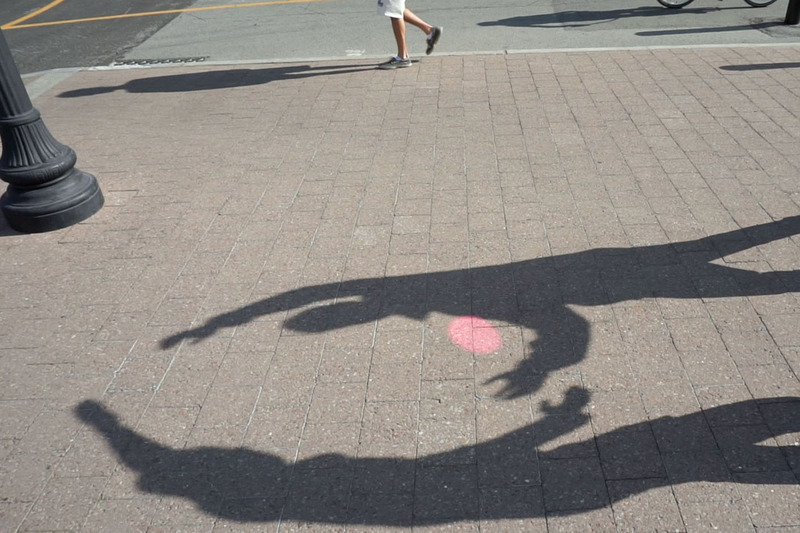 Players of this game can interact with an animated pink sunlight reflection on the street using their bodies and shadows. 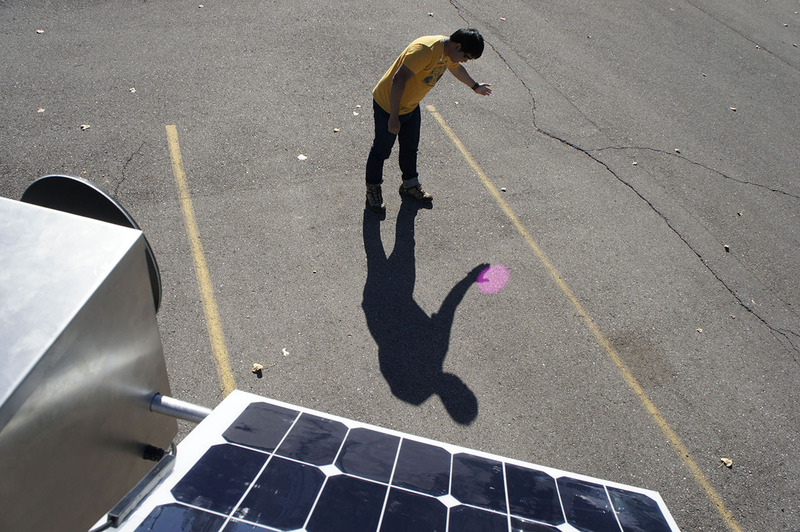 The device that makes this game possible works autonomously and completely off the grid. Solar Pink Pong. Interactive installation. 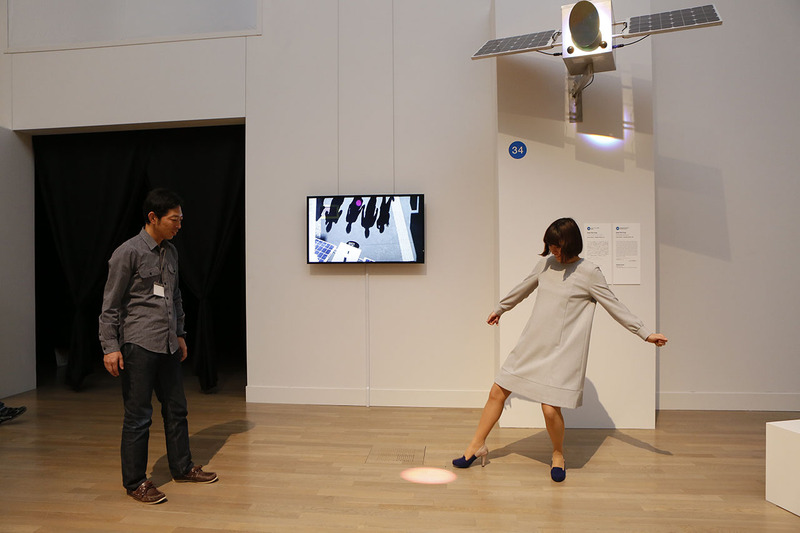 “19th Japan Media Arts Festival – Exhibition of Award Winning Works”, The National Art Center, Tokyo (Japan). The National Art Center, Tokyo (Japan). Photo: JMAF. Solar Pink Pong. Interactive installation. “FILE 2015 – festival internacional de linguagem eletrônica”, São Paulo (Brazil). FILE 2015 – festival internacional de linguagem eletrônica”, São Paulo (Brazil). Video: Assocreation. Solar Pink Pong. Interactive installation. 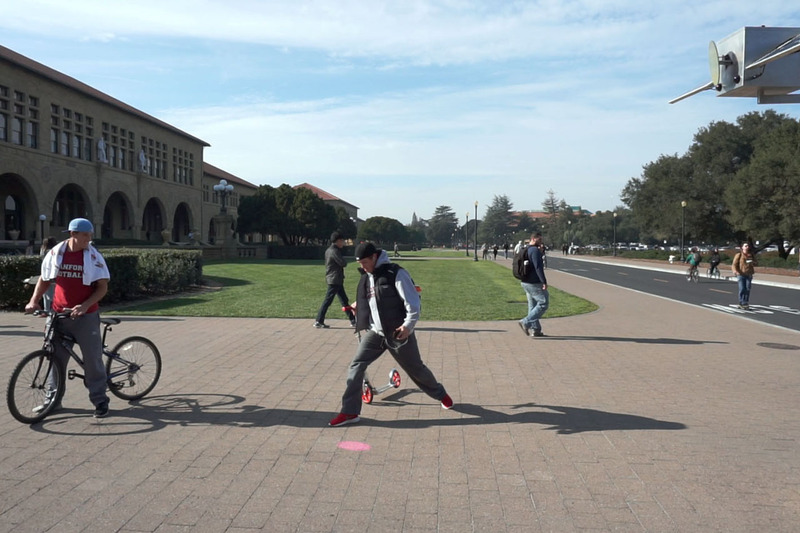 “Arts Track at TEI 2015 – the 9th International Conference on Tangible, Embedded and Embodied Interaction”, Stanford University, Stanford, CA (USA). Stanford University, Stanford, CA (USA). Video still: Assocreation. Solar Pink Pong. Interactive installation. 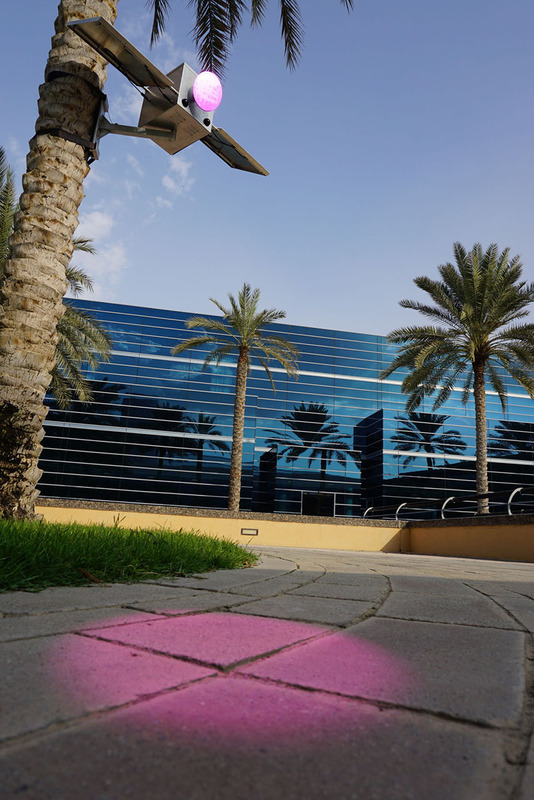 “ISEA 2014 – 20th International Symposium on Electronic Arts”, Dubai (United Arab Emirates). Dubai (United Arab Emirates). Photo: Assocreation. Dubai (United Arab Emirates). Video still: Assocreation. Solar Pink Pong. Interactive installation. Assocreation – Studio parking lot, Ann Arbor, MI (USA). Video still: Assocreation. Studio parking lot, Ann Arbor, MI (USA). Video still: Assocreation.